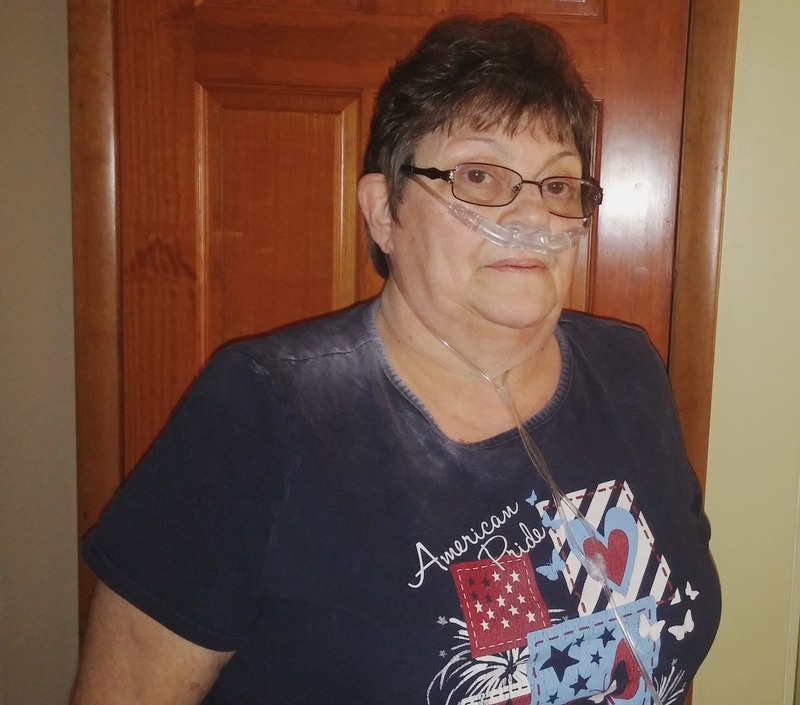 Sondra Coble is a 64-year-old woman who is very ill. After years of struggling with COPD, a single lung transplant is her only hope for survival. Sondra is the loving mother of 5 children and loving grandmother of several grand kids and great grand kids. She is one of the most loving giving people you ever wanted to meet. Sondra is a very positive and upbeat person and is facing the challenges of transplant with the same outlook. However, Sondra is on a fixed income and preparing for the financial aspects of transplant is a challenge that she can’t face alone. Sondra grew up in New York state and graduated from Horseheads High School in Horseheads, New York. She met her husband and they married right after high school. He did not want her to work so she stayed home until he passed away in a car accident. She went on and became a waitress for several years, and then a Tupperware Manager. Eventually, Sondra ended up working at the Department of Labor & Industry for 15 years until she became so ill she was forced to go out on disability retirement. Sondra is engaged to Michael Levan and she eagerly looks forward to more valuable family time with her devoted family and all those grandkids and her loving sister Tina, Sondra’s support person going thru this process. Transplants are lifesaving but financially draining. Even with insurance, Sondra is facing very high expenses including post-transplant medications of up to $1200.00 a month, travel expenses to and from Philadelphia, temporary lodging expenses post-transplant, co-pays, lab fees and more. To help with the financial burden of Sondra’s uninsured expenses, a fundraising campaign in her honor has been established with Help Hope Live, a trusted nonprofit organization that has been providing community-based fundraising guidance to patients and their families for more than 30 years. All donations are tax deductible to the full extent allowed by law, are held by Help Hope Live in Mid-Atlantic Lung Transplant Fund, and are administered by Help Hope Live for transplant-related expenses only Please consider a contribution. Every donation will be much appreciated. This is where I stand with my lung transplant. I am still patiently waiting for a lung. In the meantime I’m traveling back and forth to Oaks, Pa every 4 to 6 weeks to keep an eye on weight and over all health. After transplant I will be on rejection meds for the rest of my life that my insurance won’t cover all of it. For those who don’t know, I’m in the final stages of COPD. If I don’t get this transplant, I die. It’s the only thing that is left to do for me. I keep a very upbeat positive attitude and I truly believe in God and please, do many people a huge favor! If you are not an organ donor, please consider it. It is amazing how many can be help with just one body. When I am gone, I’m very excited about other people being able to live because I am a donor. You are never too old. Go to organdonor.gov and do a very giving thing for many others. God Bless you all! Have a wonderful day! !